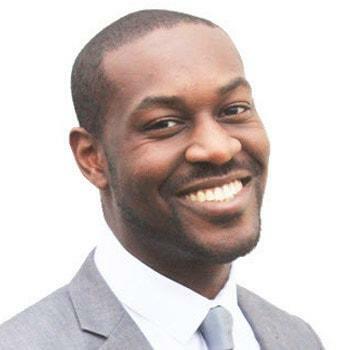 Hi I'm Samuel and I am delighted to be the host of my local Property Investors Network meeting, the amazing Canary Wharf pin which takes place on the 1st Thursday of every month. I am a London-based investor, with several years experience in Teaching practice and over ten years of experience as a mentor and coach. I have been interested in property since before I can remember, and as a result began studying creative property investing strategies in 2005. More recently, I joined Simon Zutshi's Property Mastermind Programme and have leveraged the investment strategies I have learned to work closer with other investors to generate better returns on their investments. My skills include strategic consultation, property sourcing and partnering as well as property management. To answer the question 'why I choose property as my preferred asset class'; well, it resonates with my skill set, there is a clear logic to securing tangible assets and cashflow as well as the fact that property investing provides a structured route to financial independence. As a result, I now work with investors and joint venture partners to help them benefit from the great deals in property I identify. The pin approach and community is absolutely amazing. It offers a friendly and supportive environment to learn about how property investment can enable you to achieve financial independence. Our speakers are experienced investors and will share their journeys and achievements to inspire and help you succeed; and there is ample time to network in the room and connect with service providers who can help you take practical steps to move forward with your property investment and income goals. If this is your first visit to the Canary Wharf pin we have a great team that is on hand to help you make the most of the event; they can answer any questions you have about pin academy, have experience of investing in the local area and beyond, and will facilitate your introduction to other pin members. I look forward to meeting you at the Canary Wharf pin meeting and hope that you can make it a regular booking in your diary; it is scheduled for the 1st Thursday of every month (except August and December). I really look forward to meeting you and welcoming you to our pin meeting.